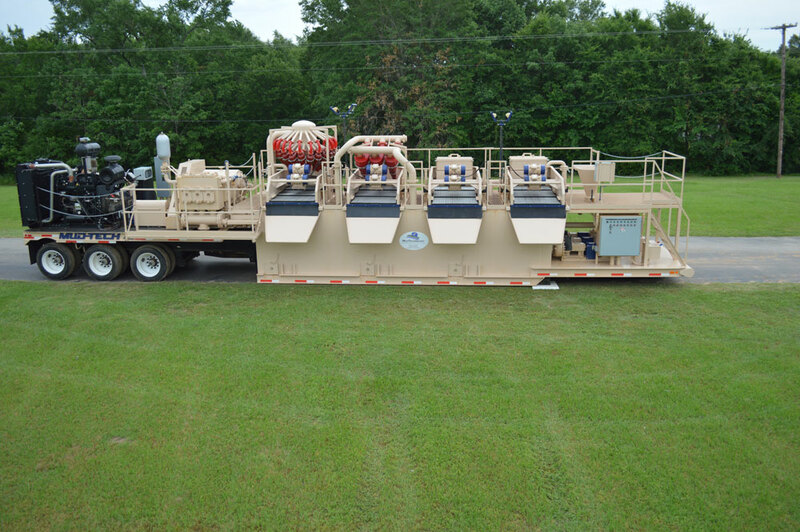 Mud Technology International knows that many operators prefer an "All In One" package in their solids control equipment. 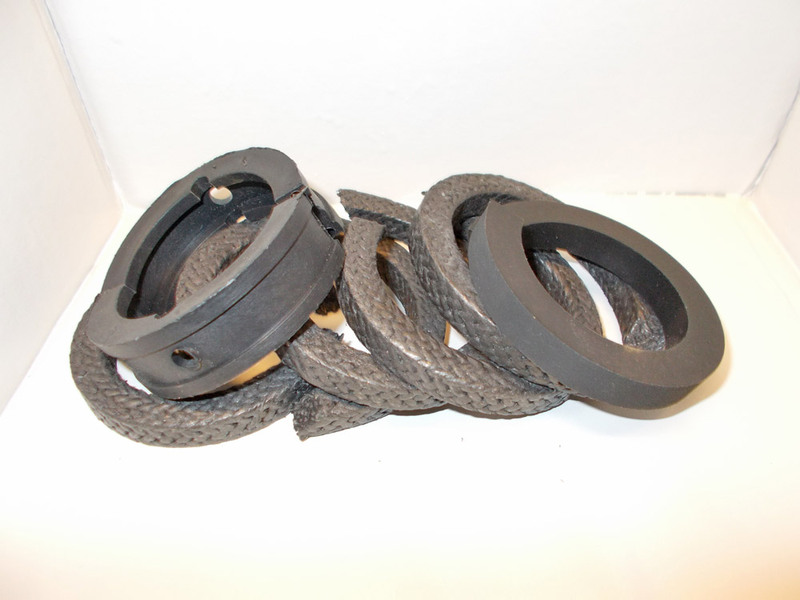 Our solution was to add one of our own mud pumps to our mixing and cleaning systems. 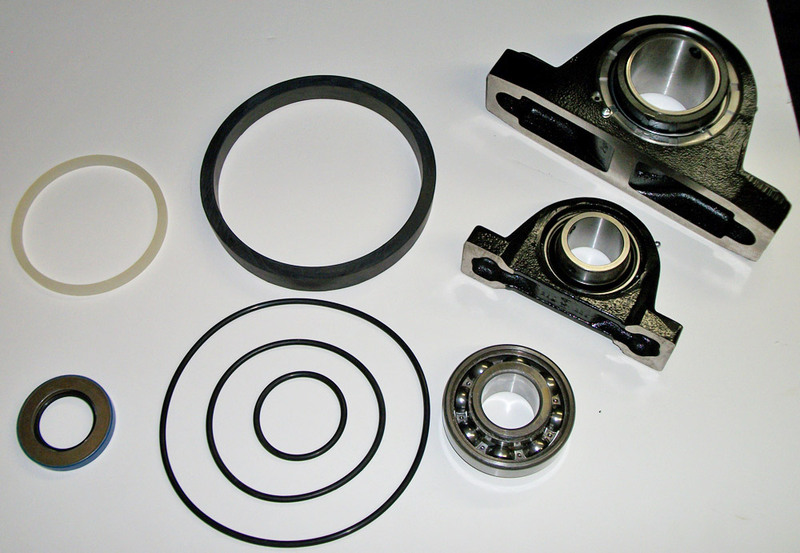 The result has been equipment with higher productivity and less downtime. 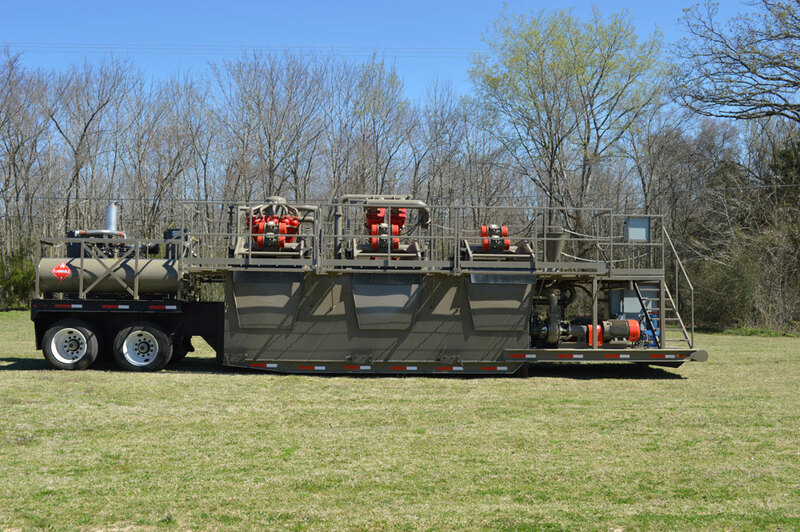 Our units offer 3-section tanks, with large, easily accessible clean outs. We have also installed 1" bar grating covering the top of the tank for safety. 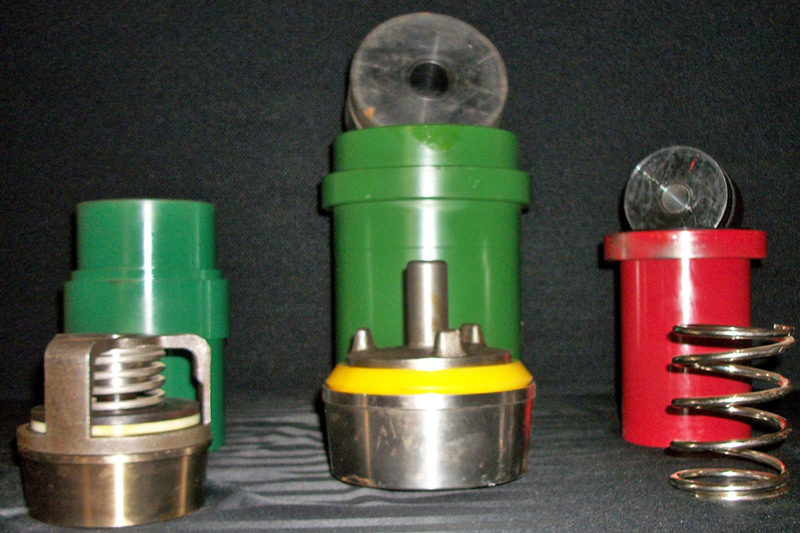 High "G"-force shakers and multiple hydrocyclones combine to provide maximum cleaning. 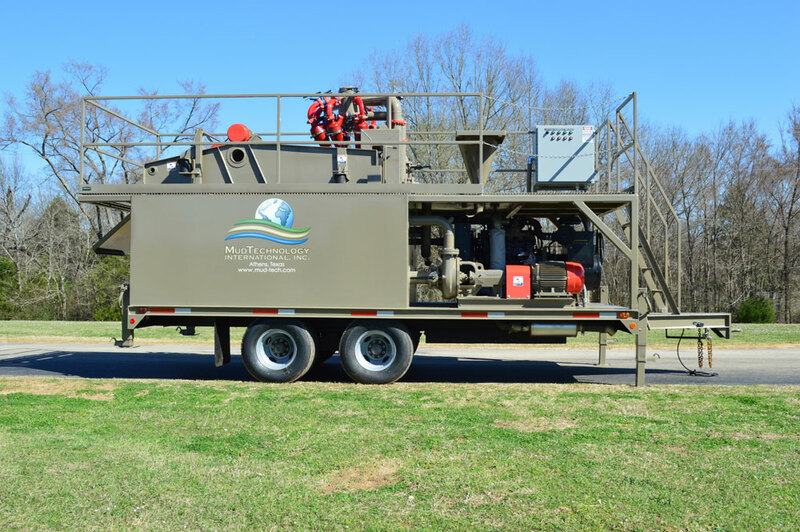 The MPCT has four centrifugal pumps that pressure feed the hydrocyclones, hopper, jet guns and supercharge. 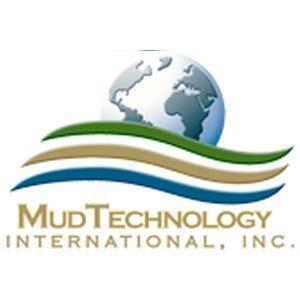 Mud Technology International adds an appropriate-size mud pump to each MPCT package. 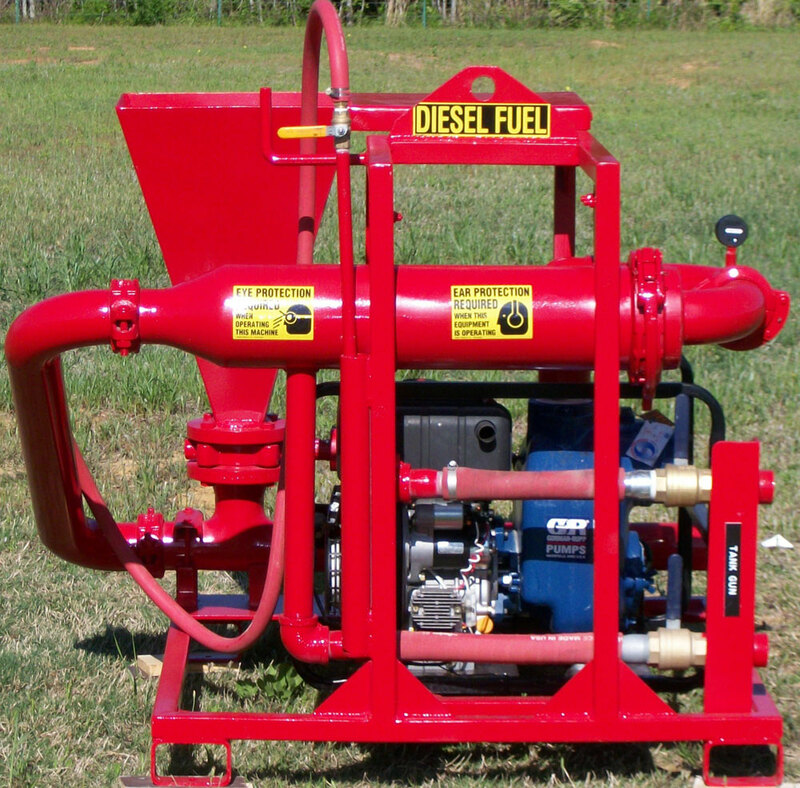 Mounted on the unit, the pump has a diesel engine, standard transmission, drive line, and all safety guards. Low-voltage electrical remote controls enable the operator to throttle the engine and clutch the transmission up to 100' away from the unit. 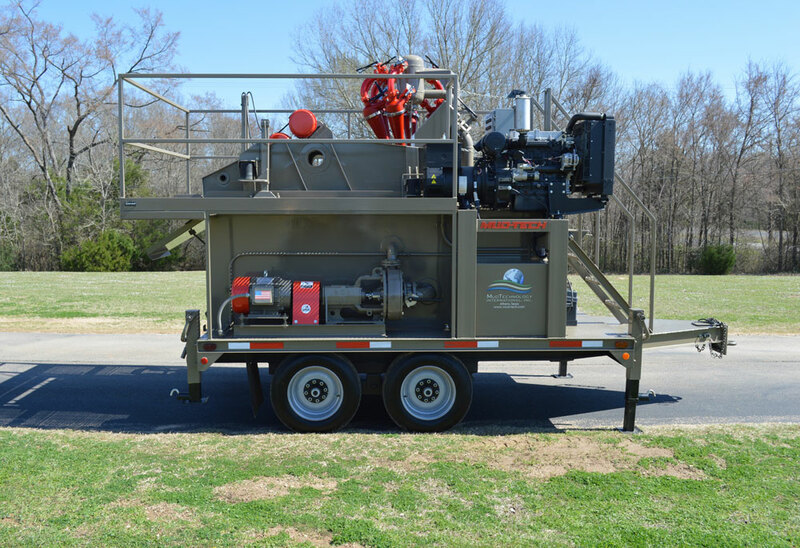 Each unit has a 480V, 3-phase diesel generator with safety shutdowns on the engine and the generator. 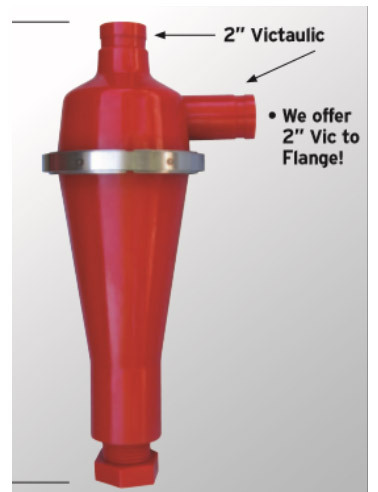 An on/off switch with a 100' remote for the supercharge to the mud pump adds to the ease of use on the MPCT Series. Added features are "Hi-Vis" night work lights and a 110V regulated power outlet. 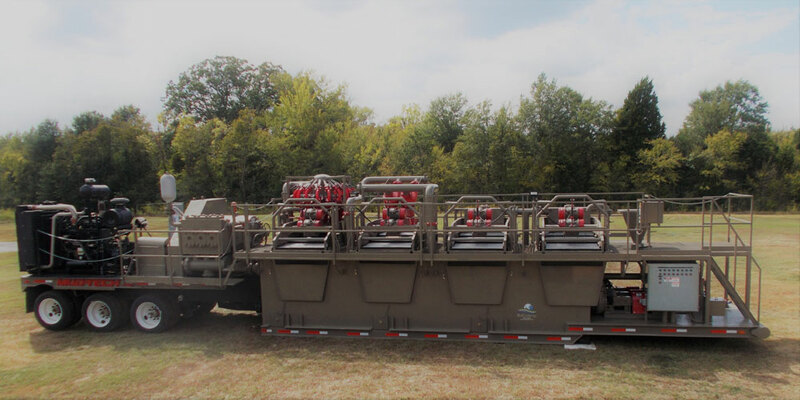 The trailers are built at our Athens, Texas facility alongside our mud systems. 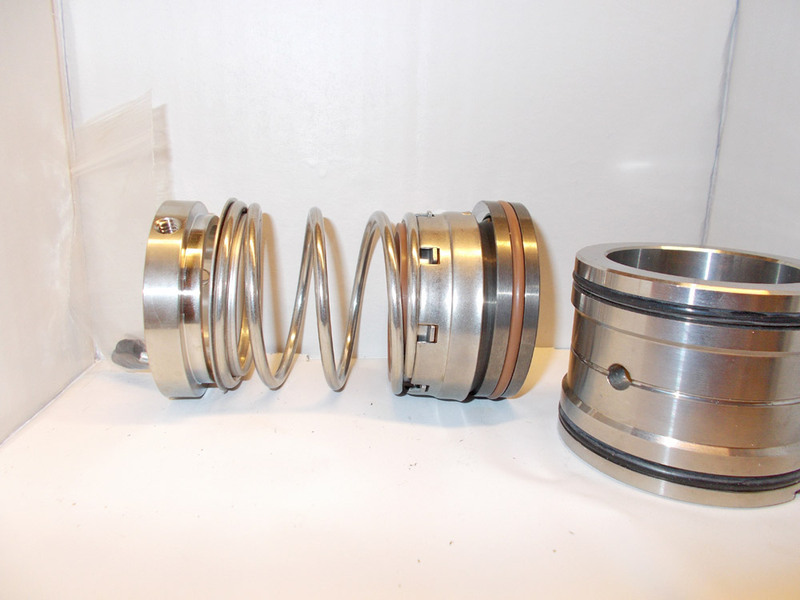 3" square tubing is mounted around the top edge of the tank for structural stability. We have added extra bracing in the tank floor for additional strength. 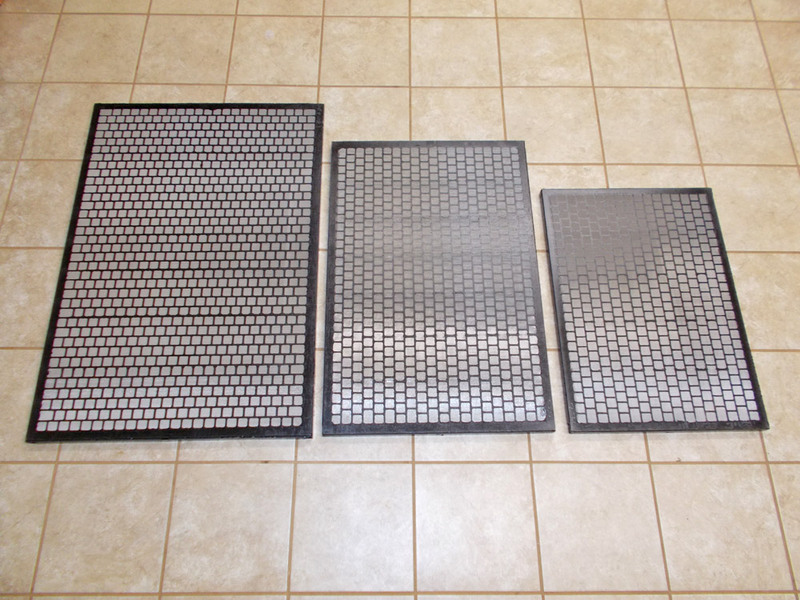 All open areas of the floor are covered with bar grating and diamond plate. Standard features are air brakes, hydraulic landing legs and 25k dual tandem axles. 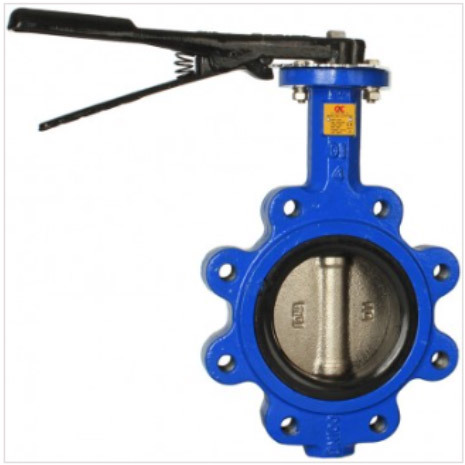 Each unit is sand blasted and painted with high solids industrial paint for added durability. 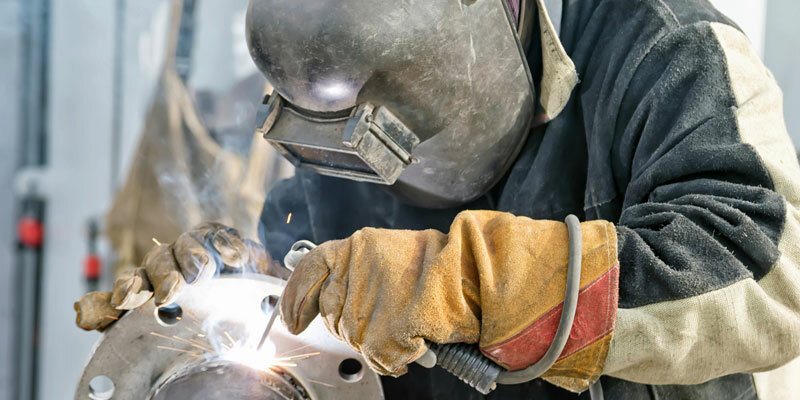 Give us a call and we can customize a unit to your specifications.